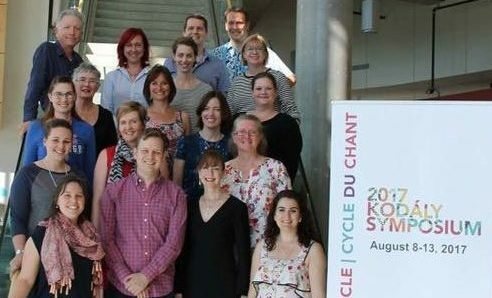 At the recent 23rd International Kodály Society Symposium held this August, Australia presented a strong delegation of over 20 music educators. The Symposium travels biennially around the world, organised by a national organisation that is affiliated with the IKS. 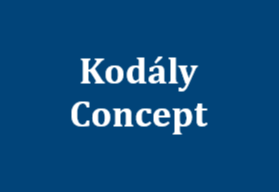 This year’s Symposium was hosted by the Kodály Society of Canada and Alberta Kodály Association in Camrose, Alberta, Canada. 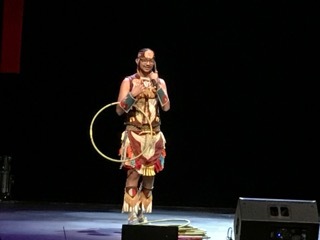 The daily program featured a variety of keynote addresses, research papers, workshop sessions, poster presentations, game sessions and lunchtime and evening concerts. 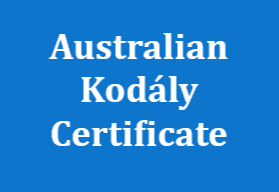 The teachers and workshop clinicians who were selected as presenters to muse upon the practical applications of Kodály’s philosophies came from a large pool of applicants from around the world. The large delegation of Australian educators proudly represented KMEIA, presenting engaging workshops and thought-provoking papers to enthusiastic audiences from many countries around the globe, including Canada, USA, Japan, Malaysia, Hungary, Scotland and Columbia. 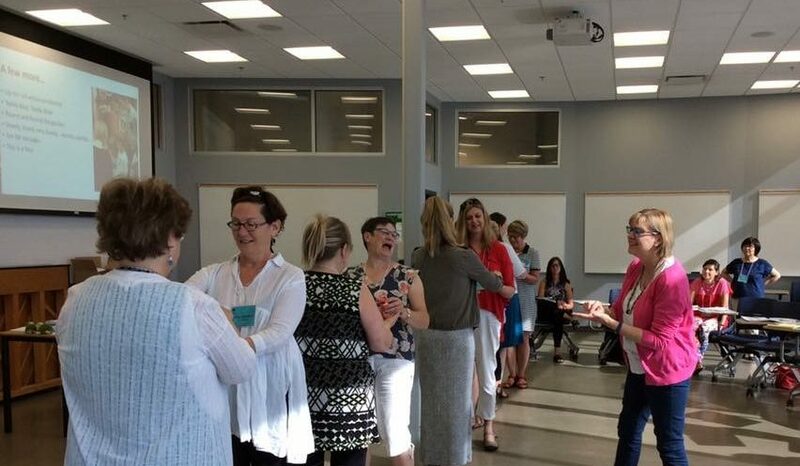 New professional networks were forged and international alliances were strengthened as music educators working within various teaching contexts came together for the week-long conference. The opportunities to collaborate, philosophise and engage in reflective and open-minded discussions with like-minded educators was a rewarding and affirming experience for us all. 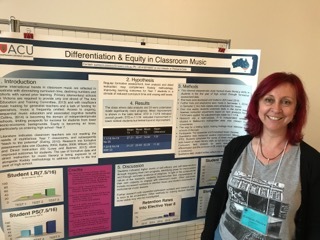 For Kathleen Plastow, a Melbourne-based music educator, her first IKS Symposium was an inspiring experience. The city of Camrose, Alberta was a welcoming host for delegates and presenters to the 23rd International Kodály Symposium. The theme, “Singing the Circle: Kodály-Inspired Music education from Birth to Adult”, provided truly inspirational experiences for those of us lucky enough to attend. The Keynote; Intergenerational Singing: Variations on Themes of Life, Living, and Learning through Singing Together from Birth to Death, presented by Dr Carol Beynon (Canada) was particularly inspirational. 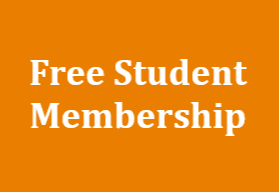 Beynon’s work has seen the development of a curriculum based, intergenerational choir that is having far more impact than simply getting young and old to sing together. Most of the elderly members are experiencing cognitive degeneration of varying types (Alzheimer’s/Dementia), and whilst the original plan had been for choir to provide respite time for carers, most carers now sing in the choir too. The truly beautiful outcome is that respite is coming in a different form, as most of the elderly are experiencing between 4 and 28 hr relief from their symptoms after choir sessions. The choir sing both unison and part works and Beynon focuses on breathing, posture, range and literacy through a carefully selected repertoire. Also inspirational were Jill Trinka’s Children’s Game Songs presentations. Understanding how to use traditional songs to teach elements of music without sacrificing ethnomusicological authenticity is already impacting on my own teaching. Trinka described how, by moving between descriptive notation, prescriptive notation and elemental notation, we can introduce the concept we are focusing on and then move on to discuss and perform the song in a more authentic manner. The final inspirational moment was the recognition that there were such a large number of Australians presenting. There are great things happening here!